The Kiev-based heavy lift cargo carrier announced last week the forming of a worldwide network of stations. The main focus being on the U.S. market. with more investment likely as the business grows. 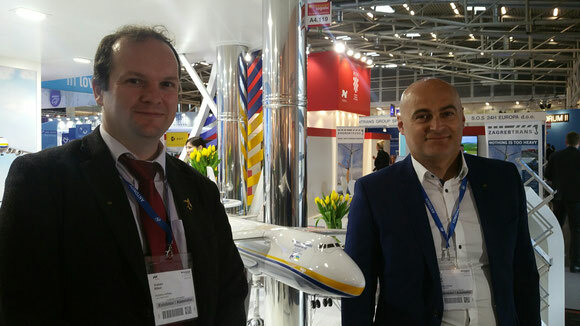 Antonov's UK Managing Director Graham Witton stated in Munich that setting up a U.S. sales entity was decided on due to the traffic agreement signed last year between Kiev and Washington, giving Antonov fifth freedom rights. Prior to this step, a Japanese sales office was opened in Tokyo along with a second branch in Osaka. GSAs in China, India and Malaysia will follow in the near future. Antonov UK, established last year, employs meanwhile a total of 23 staff at London Stansted Airport. Witton stressed that personalized service is at least as important as the pricing for chartering capacity. He added, "we aim to move away from faceless communication via electronic media into more face to face encounters."